This pot is the Ming Dynasty Chenghua Dou Cai Porcelain. It is named for the blue and white regular script with no circle bar "Tian" at the bottom of the pot. It is all the works of the official kiln. This "Ming Chenghua Dou Caiyun Fengfeng Tianzi Cap Cans" has round mouth, short neck, abundant shoulders, big belly, slightly convergent bottom, shallow circle feet, with flat top cover. The shape is small and exquisite, and the whole is dignified and beautiful. 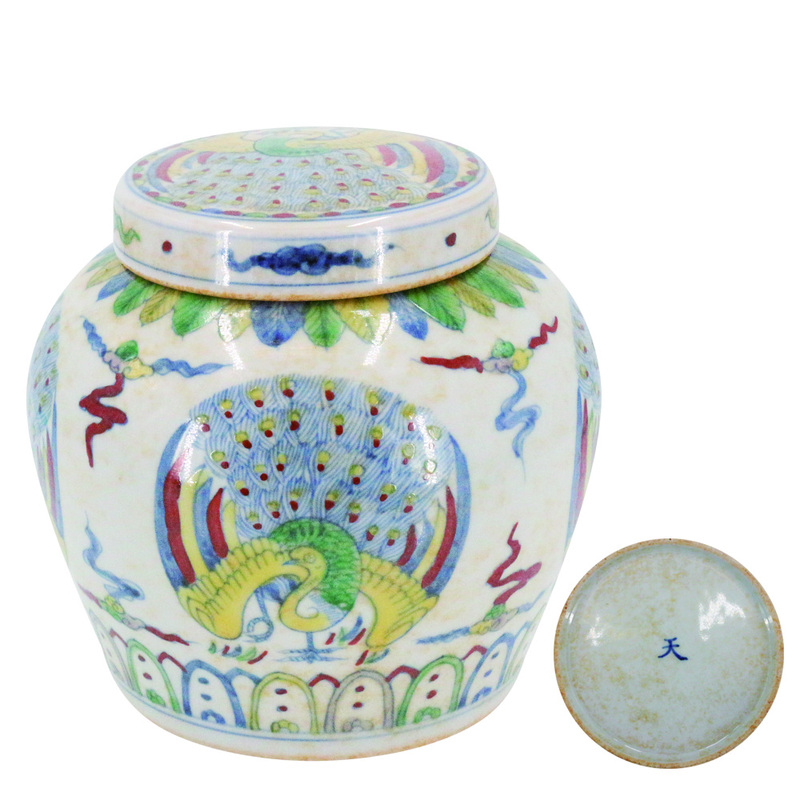 The whole decoration is outlined with blue and white under the glaze, and filled with various colors on the glaze: blue and green glaze, bright alum, yellow and green, giving a warm, bright and fresh feeling. The outer wall of the pot is painted with clouds and phoenixes, which implies auspiciousness. The vest is delicate in texture and light in size. In outdoor natural light, fingers shake at the outside wall and bottom, and can be seen at the inside bottom. The bottom feels like white jade. It has a moist feeling and is worth collecting.